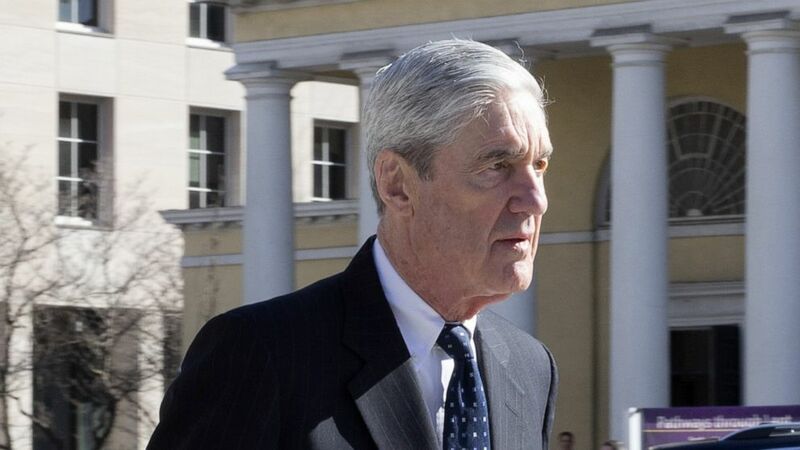 The Justice Department expects to publicly release the redacted version of special counsel Robert Mueller's report on Thursday morning, a Justice Department spokeswoman said on Monday. Two days after receiving the report, Barr sent a letter to Congress describing what he said were the special counsel's "principal conclusions." In that letter, Barr wrote that Mueller found no evidence that members of the Trump campaign "conspired or colluded with the Russian government in its election interference activities," but he did not come to a conclusion about whether President Donald Trump had obstructed justice. Barr subsequently took it upon himself to decide the question, concluding that Trump had not obstructed justice. According to Barr, Mueller's 19 prosecutors and 40 FBI agents issued more than 2,800 subpoenas, executed nearly 500 search warrants, and interviewed approximately 500 witnesses, the results of which amounted to 34 people and three business indicted and six guilty pleas to date.